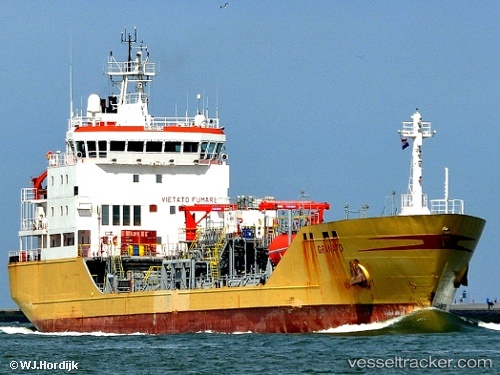 Product tanker Granato was put under quarantine in El Ferrol, La Coruna, Spain, on Aug 2 after one of the crew died presumably from contagious disease. Vessel asked for medical assistance while being at sea en route from Leixoes Portugal to El Ferrol, reporting that the man of Indian nationality died from, they presume, cardiac seizure. The body was taken to hospital, where autopsy found the cause of death to be infectious disease. The court in Vigo ordered a quarantine, nobody allowed to leave or board vessel, except specialists. Among last four ports of call are Rotterdam and Antwerp. Quarantine will last one or two days, depending on medical research results.